Now there's a new reason to stay healthy and live up to a hundred years old if you're a Filipino. That is, if you find P100,000 big enough for you. The Senate has just approved a bill that will grant centenarians an incentive of P100,000 cash and a letter of felicitation or acknowledgment from the President of the Philippines. Why should Filipinos who are one hundred years old and above be given incentives? Senate President Drilon said that centenarians "are good examples for our people, and help encourage a healthier lifestyle among our citizenry." The Senate bill was sponsored by Senator Nancy Binay, who also wants September 25 declared as the "National Respect for Centenarians Day." Senator Ralph Recto, the bill's co-sponsor said that once the bill has been passed into law, a plaque of recognition will be given to the centenarian on his or her 100th birthday. The local government will be in charge of handing such plaques. 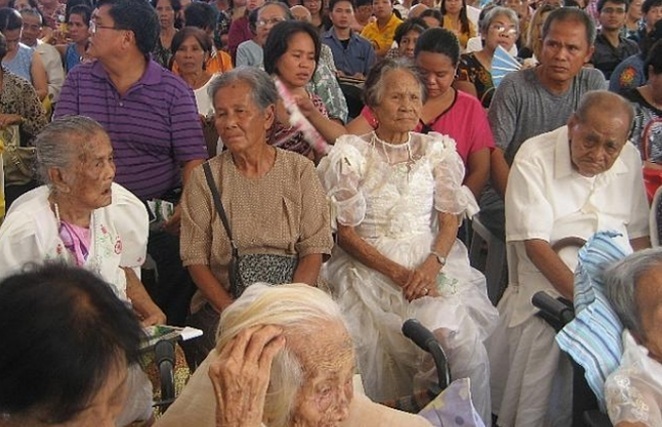 As of 2015, the Department of Social Welfare and Development has recorded a total of only 3,533 centenarians in 2015. Recto said that there are very few centenarians, that taxpayers' wouldn't have to shell out much when the law comes into effect. If all of the 2015 centenarians are still alive, that would translate to a total of P353.3 million to fully implement the measure. That figure will go higher if more centenarians are added to the list. The lawmakers have good intentions in mind, but then what about centenarians who are senile at that age or are already too sick to enjoy that kind of money? Wouldn't the money just go into the hands of relatives who are taking care of them? Or is that also part of the intention of the lawmakers, that is, to reward the relatives who have been taking care of the centenarians? Whatever their intentions are in crafting this bill, we are sure that the centenarians and their next of kin are happy with Senate approval of the bill on its third and final reading.